DULLES, Va.Dec. 18, 2006--Orbital Sciences Corporation (NYSE:ORB) today announced that it successfully launched the TACSAT-2 satellite for the U.S. Air Force aboard a Minotaur I space launch vehicle. 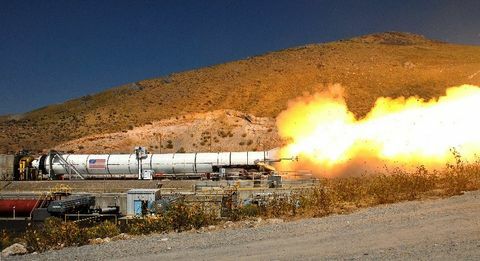 The Minotaur launch was carried out by Orbital for the U.S. Air Force's Space and Missile Systems Center (SMC) Space Development and Test Wing (SDTW) located at Kirtland Air Force Base in New Mexico. The mission originated on Saturday, December 16 at approximately 7:00 a.m. (EST) from the Mid-Atlantic Regional Spaceport (MARS), a private facility located at the National Aeronautics and Space Administration's (NASA) Wallops Flight Facility. Approximately 11 minutes following lift-off, the Minotaur rocket accurately placed the TACSAT-2 spacecraft into a low-altitude orbit above the Earth. In addition to the Air Force's TACSAT-2 spacecraft, the Minotaur rocket also deployed a very small "microsatellite" for NASA's Ames Research Center known as GeneSat-1. 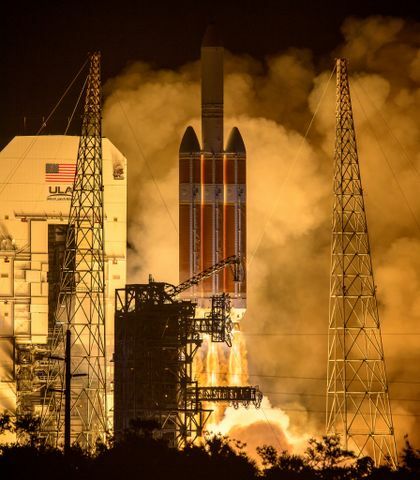 "The Air Force/Orbital Minotaur launch team did another fantastic job on this mission," said Mr. Ron Grabe, Orbital's Executive Vice President and General Manager of its Launch Systems Group. "We were challenged to conduct the mission on a very short schedule to demonstrate the Minotaur's quick turnaround, responsive launch capabilities. I am very proud of how our Minotaur program came through for our customer, the Space and Missile Systems Center, which is leading the charge to develop and demonstrate Operationally Responsive Space (ORS) missions for the U.S. military. We carried out the Minotaur/TACSAT-2 mission in just seven months from the start of the contract to the completion of today's mission." Minotaur I launches have now put a total of 24 satellites into orbit. The TACSAT-2 mission was the 11th consecutive successful launch of the Minotaur family of space and suborbital launch vehicles since the program's first flight in January 2000. Over the next three years, another eight Minotaur rockets are under contract to carry out important U.S. government missions in future years. The TACSAT-2 mission is a trailblazing demonstration of ORS satellite and launch vehicle technologies. The mission began with contract award and kick-off in late May 2006 and the Minotaur vehicle was ready for launch just 200 days later. Achieving this responsive capability required a dramatic compression of the normal mission integration, range interface and field processing schedules. The final operational schedule, from the beginning of spacecraft integration with the launch vehicle to readiness for launch, was independently monitored and timed. The Minotaur program demonstrated its ability to launch with a "call up" time of less than one week, fully accomplishing the ORS goal for rapid spacecraft launch. The lessons learned from these efforts to dramatically reduce the schedules will be applied in ways that will further compress the response time of Minotaur vehicles in support of ORS. Orbital's Minotaur vehicles are the only proven launch vehicles currently capable of supporting the Department of Defense's evolving ORS launch requirements. 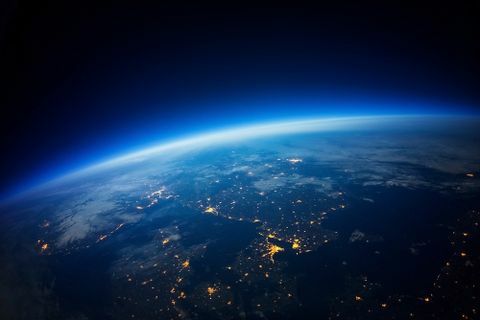 They are specifically designed to be capable of launching from all U.S. spaceports, including government and commercial launch sites in Alaska, California, Florida and Virginia. Due to the minimal amount of specialized infrastructure that is required to support Minotaur launches, they can also be deployed at other U.S. launch sites. The TACSAT-2 mission also featured several "firsts" for the Minotaur program. Saturday's launch was the first Minotaur flight to be conducted from MARS at NASA's Wallops Flight Facility. The previous five Minotaur I space launches had been conducted from Vandenberg Air Force Base in California. The rocket also debuted a new 61-inch payload fairing, the protective cover that encases the satellite as it flies through the atmosphere. The wider fairing will accommodate a larger satellite than the previous 50-inch diameter fairing. The TACSAT-2 satellite is part of a series of experimental spacecraft designed to demonstrate new technologies and capabilities for providing responsive space-based support of military operations. The TACSAT-2 spacecraft has multiple experiments onboard, although the primary experiment is a medium resolution imager that will demonstrate the ability to be autonomously tasked and rapidly provide data to troops on the ground. The TACSAT series of satellites, plus the quick-reaction Minotaur I launches, are key parts of the U.S. government's effort to develop Operationally Responsive Space (ORS) systems. The Air Force Research Laboratory (AFRL), in partnership with SDTW, both at Kirtland Air Force Base, New Mexico is leading both the TACSAT-2 and -3 joint development teams in partnerships that include space organizations from the Air Force, Navy and Army. The GeneSat-1 picosatellite is an astrobiology experiment to monitor space environment effects on bacteria. The approximately four inch square by one foot long, 10-pound spacecraft was designed and built by NASA Ames Research Center with participation by students at Santa Clara University.